Spring boot and Let’s Encrypt is both widely used in the industry. 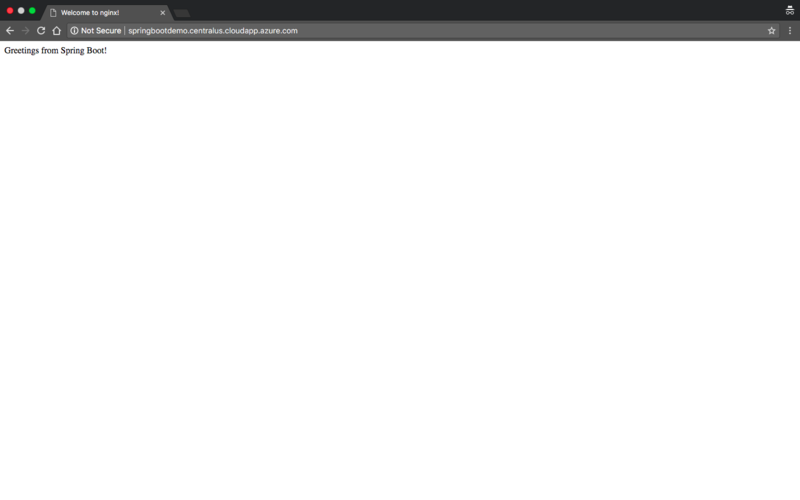 Spring Boot gives power to make a Spring-powered application easily; while Let’s Encrypt offers free SSL/TLS certificates for enabling secure HTTPS connections between client and server (the most easily recoginized is that the browser will show a green padlock beside the URL). Certificates offered by Let’s Encrypt are valid for only 90 days; renewing process needs to be processed gradually. Spring Boot needs to restart to adopt new certification. Which quite painful. Let’s Encrypt program offer key in PEM files, while Spring Boot supports for PKCS12 type. It is neccesary to convert certificate and private key to PKCS12. In my case, I use Google Azure - they offer all I need. 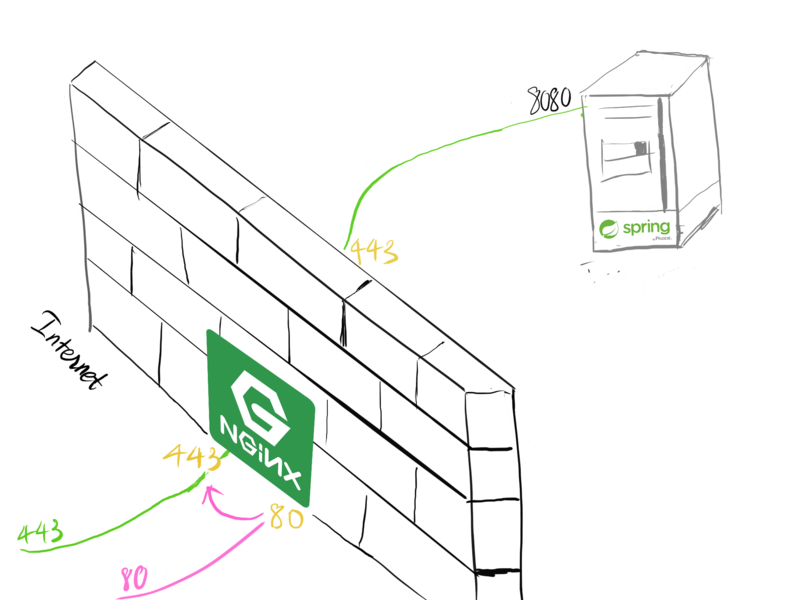 For easy adopting Let’s Encrypt with Spring Boot, NginX is used as a SSL Proxy server. Spring Boot is running on port 8080 and not accessible from internet. 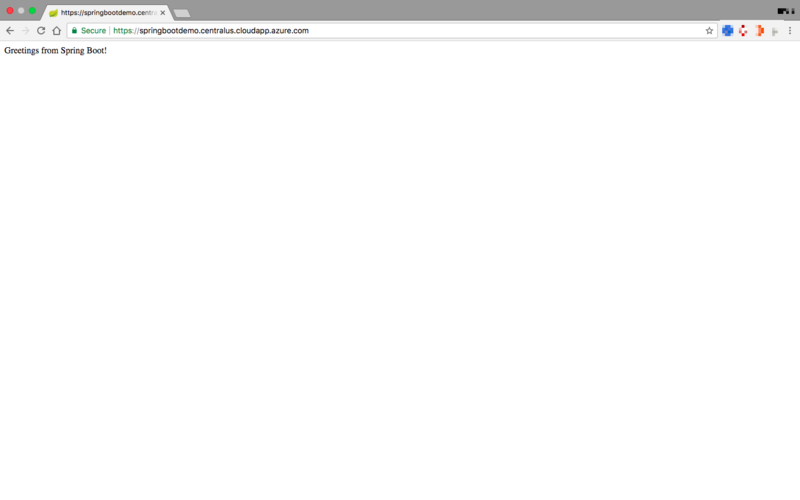 Request to port 80 is redirected to port 443 by NginX. NginX receives all request from port 443 and redirect to port 8080. Let’s Encrypt certificate is servered by NginX, NginX will be restarted after certification renewal is succeed. We will clone a simple program, which running on port 8080 here. It should return “Greetings from Spring Boot!”. 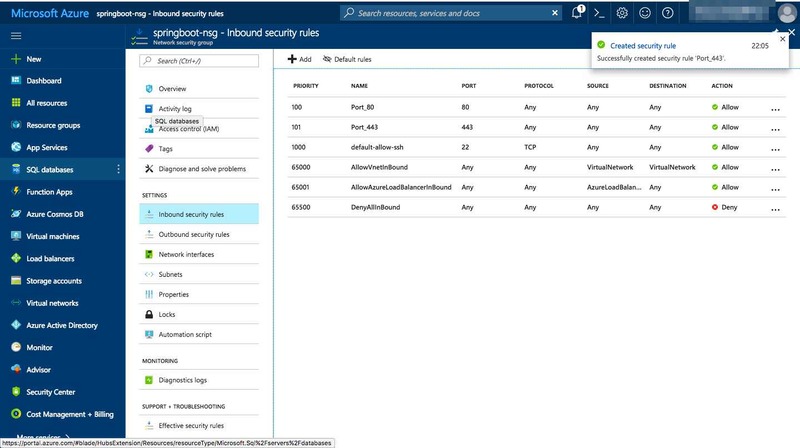 Now allow access to port 80 and port 443 in the Azure Portal by opening Network Security Group of your Virtual Machine. We will redirect all request to our website to port 8080. Open /etc/nginx/nginx.conf and insert to server part. Certbot is an easy-to-use automatic client that fetches and deploys Let’s Encrypt SSL/TLS certificates for our webserver. As usual, we can running domain challenging by the above command with tls-sni-01. But currently Let’s Encrypt has currently disabled the TLS-SNI-01 challenge due to a security report. So we will implement this command instead. 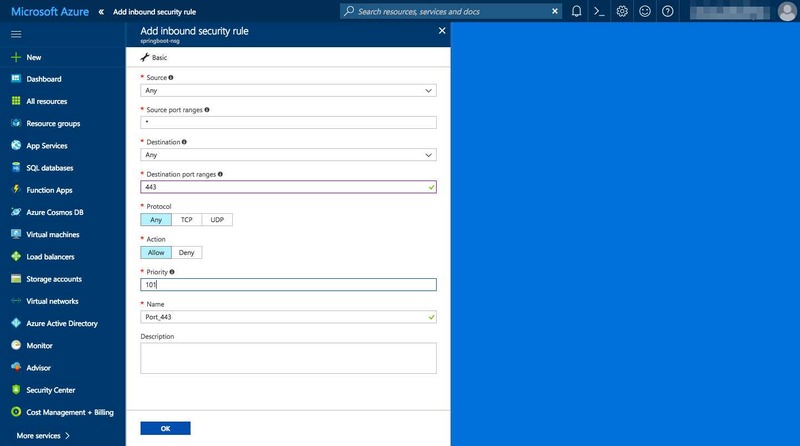 Remember to select the domain (by just press enter) and select for redirect through HTTPS (by enter 2) when being asked. You can check /etc/nginx/nginx.conf, it was modified by Certbot for using Let’s Encrypt certificate. But there is no silver bullet; there is a trade-off between certificates duration and security (you can read more about it here). Its duration is only 90 days, compare to normal paid certificatis which valid for some years. But it can be solved by set a crontab to auto renew it. 30 3 * * * certbot renew --post-hook "service nginx reload"
It will run everyday at 3:30 AM; you can trust it because certbot will only run if the certificate is valid less than 30 days. 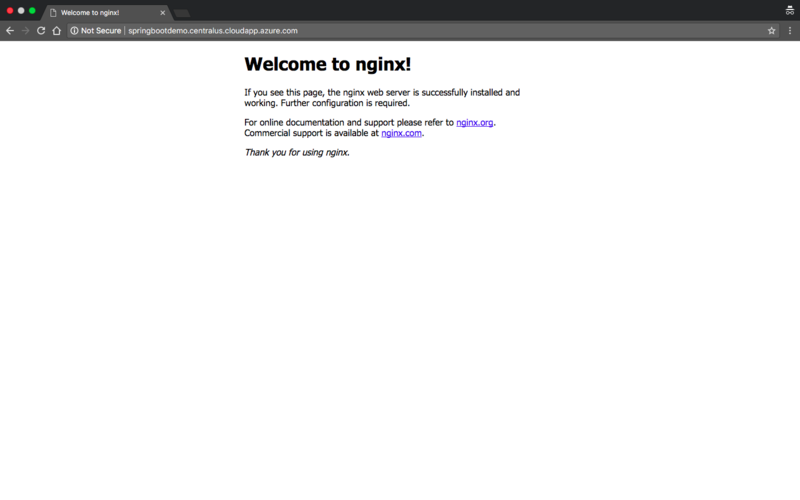 In this tutorial, we installed a Let’s Encrypt SSL/TLS certificate for securing our Spring Boot application by using NginX as a SSL proxy. If you have any questions, please look at the links below first. Notice: for some distros (such as CentOS), SELinux can cause permission denied while connecting upstream. Solution can be found here.